Whitman Publishing was formed in 1916 as a subsidiary of Western Printing & Lithographing Company of Racine, Wisconsin. 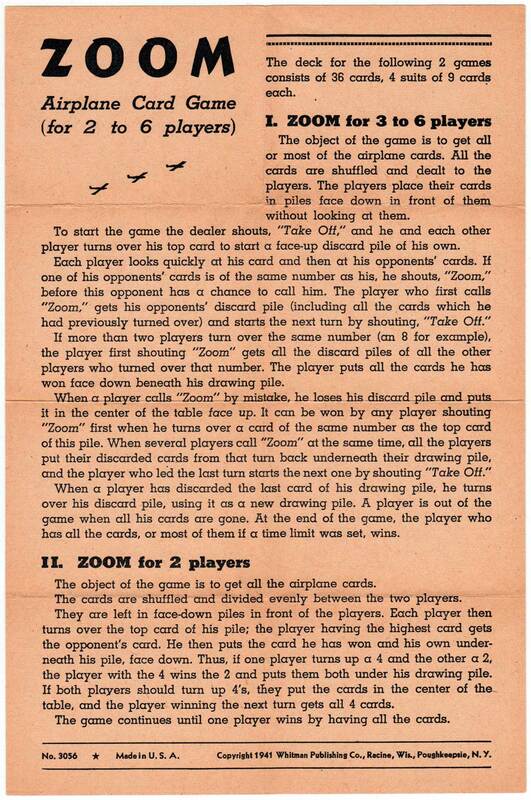 Whitman specialised in children's books, puzzles and board games until the 1970s, and also became a leading numismatic publisher. 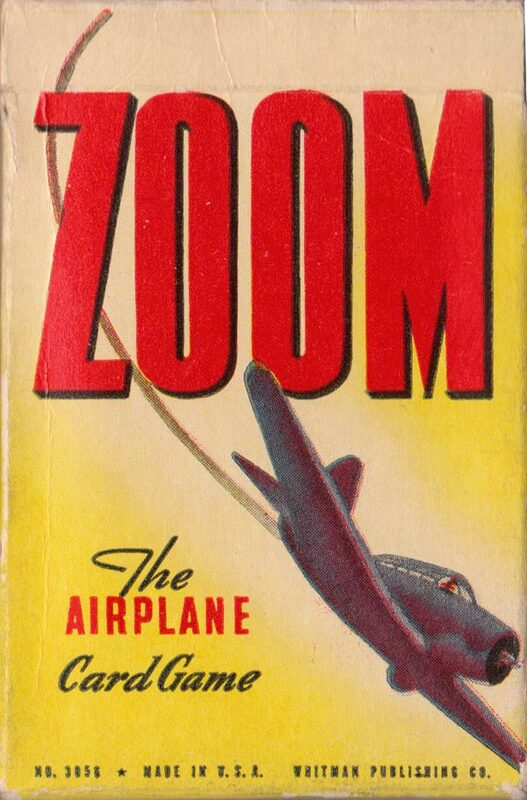 Above: “Zoom” Airplane card game (set 2) published by Whitman Publishing Co., Racine, USA, ©1941. The backs have red patterned backs. The box front has the inscription: “No. 3056 ★ MADE IN U.S.A. WHITMAN PUBLISHING CO.” Images courtesy Rex Pitts.